Dich teure Halle, was set and composed by Richard Wagner between 1843 and 1845 and premiered the same year. It is part of the second act of his opera, Tannhäuser. In 1845, year where Tannhäuser was premiered, Wagner aged thirty-two, has settled in Dresden where he is appreciated for his orchestra conducting and opera compositions. As always, Wagner wrote the libretto himself, a libretto built around two German legends, the one of Tannhäuser, medieval German Minnesänger and the tale of the Wartburg Song Contest. The opera is centered around the idea of redemption through love, a typical theme of many of Wagner’s opera. Wagner was never satisfied with Tannhäuser and it underwent many revisions during the composer’s lifetime. Act I opens on Tannhäuser who had accepted out of love for Venus, to be her captive. He has grown tired of his situation and decides to bid farewell to Goddess. Venus is furious and warns him he will find no salvation but he answers Marie will protect him. She disappears and he finds himself in the countryside where a shepherd is celebrating spring. A group of knights arrive and they are happy to meet their friend Tannhäuser again. They ask him to join himself to their group, heading to the court of Warburg, but he refuses at first. Wolfram insists and reminds him, Elisabeth is still remaining at the Court. When he hears the name of the one he was once in love with, he changes his mind and accepts to join them. Act II opens on the room in the castle of Wartbourg where the singing competition will be taking place. Elisabeth enters and rejoices when she learns Tannhäuser is back as she has never stopped loving him. She greets the group of people present in the room in her aria: Dich teure Halle grüss ich wieder. 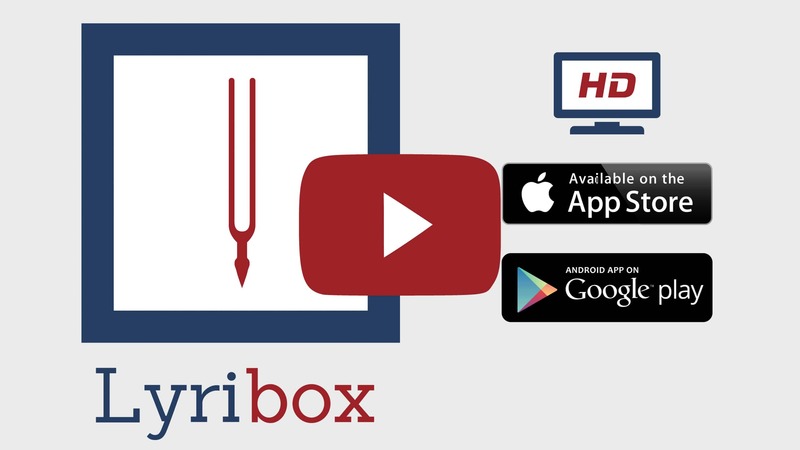 Lyribox, the popular online platform for classical sheet music, accompaniment and ipa translations brings the best by R. Wagner by offering the sheet music, accompaniments and translations to the fans gathered around the site, for the best price that could be found online. The sheet music, accompaniments and translations provided by Lyribox for are of highest quality and accuracy. Dich teure Halle originated was composed by Richard Wagner. The original lyrics are in German. The melodious note arrangement of Dich teure Halle ranges from pianissimo (very soft) mellow notes to forte (loud) notes carrying the player and the audience through an array of vivid emotions. The sweet soft beginning of the music piece gradually increases and decreases the loudness in smooth transitions. This music piece is decorated with phrases, slurs and an arpeggio. A perfect composition for piano players to try with an intermediate knowledge in music. Students can make use of this sweet music piece to improve their knowledge in music expressions, ornaments and sight-reading, while all music lovers could enjoy this brilliant extract whole-heartedly. Dich teure Halle sheet music produced by Lyribox is clear, precise and is transcribed in English by Lyribox. By purchasing Dich teure Halle sheet music from us, you can simply sing along as you play this masterpiece on your piano. Unlike many sheet music sold online with all black notations, sheet music we offer you is marked using three distinct colors. While piano notation is illustrated in black, the music expressions and the lyrics are given in red and blue respectively. Get Dich teure Halle by R. Wagner sheet music from Lyribox today to enjoy and share this wonderful music composition with your friends and family. Dich teure Halle piano accompaniment is offered by Lyribox is mellow and smooth. It feeds the poem an underlying pulse, adding a sense of propulsion to it. Meanwhile the vocal line flows in a dreamy leisure manner forcing the audience into a calming and languid mood. The vocal line of Dich teure Halle by Lyribox has the potential to provide slight pitch support for the voice’s sometimes unusual intervals, enhancing the fullness of it. This accompaniment is not at all demanding. Using these rich Dich teure Halle accompaniments you could create one of the most brilliant performances that is pregnant with layers and layers of expressions. Purchase the Dich teure Halle piano accompaniment together with the vocal line accompaniment from Lyribox today!